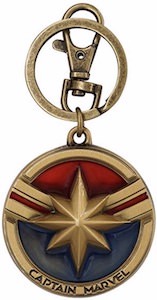 If you need a superhero t-shirt then this Captain Marvel t-shirt could look great on you. 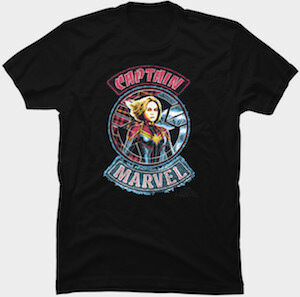 The Captain Marvel shirt is black and comes in styles for men and women and in many sizes from Small – 5XL. 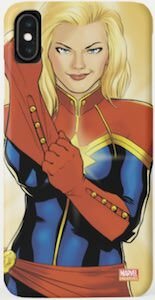 On the shirt you can find a patch like design that says “Captain Marvel” on it and in between the words you can find the female superhero in her great outfit and her blond hair just flowing in the wind. It is a great looking t-shirt that makes for a great shirt for your self or as a present as people will like to get a shirt like this.